If there was any doubt we’ll soon see Samsung announce the Galaxy S10, late last week the S10, S10+ and S10e all passed through the U.S. Federal Communications Commission (FCC), signalling their imminent announcement and release. With the veritable flood of S10 leaks that have come out over the last few weeks leading up to the launch of the new phones, these new FCC filings don’t reveal much about the devices that we didn’t already know. 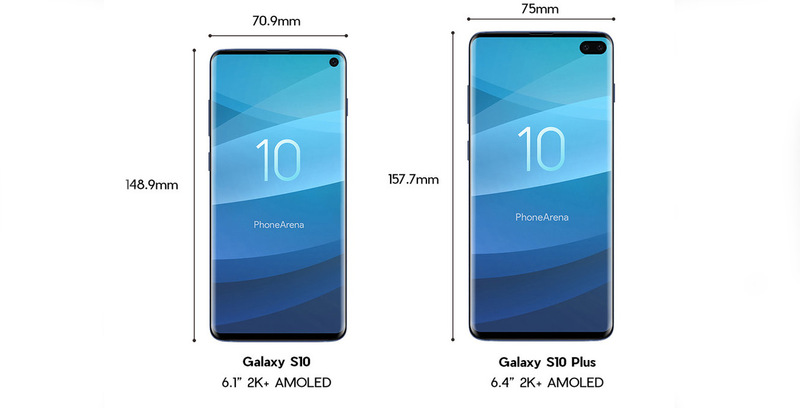 Instead, they confirm that Samsung plans to launch three S10 variants in the U.S.: ‘SM-G970U,’ ‘SM-G973U,’ and ‘SM-G975U.’ Respectively, these are the S10e, S10 and S10+. It’s likely Samsung will release all three variants in Canada, as well. Additionally, the documents confirm that Samsung’s latest trio of flagship smartphones will feature Bluetooth LE, NFC and MST connectivity, as well as support for Wi-Fi 802.11ax (better known as Wi-Fi 6), making it one of the first phones to support the new Wi-Fi protocol. While Wi-Fi 6 support will be important in the future, for now there just aren’t enough devices to make it matter. To take advantage of the new Wi-Fi 6 features, you’d need a router that supports the standard. Further, Wi-Fi 6 won’t bring massive speed improvements. Instead, it should improve network performance when multiple devices are connected — such as in a smart home with several smart speakers, lights and other gadgets. Samsung will announce the Galaxy S10, as well as its first ever foldable display smartphone, on February 20th in San Francisco, California.